I think I'm slowing down a bit with my series binging of Voyager. I have been trying to fit in more Movie Musicals, so that takes up some time, but I feel like I'm less motivated to watch Star Trek than I was before. So there is probably a little burn out happening here. I don't really have much to say about season 3 as a whole - I think I enjoyed season 2 overall more, but looking over my list of episode picks for season 3, I really liked these episodes! Anyways, on to my top 5 picks! Kes is experiencing time backwards, when she wakes up much older, and then continues to pass out and wake up while getting younger and younger. I like the timey whimey aspect of this episode, as well as dilemma for Kes, to try to get back to her time, when she couldn't control when she went into the past. That aspect alone is what put this episode into the top 5 - although when she goes back into the womb, it was a *little* weird, this was still an intriguing episode. 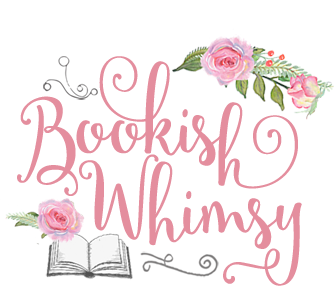 Another episode with an intriguing premise! 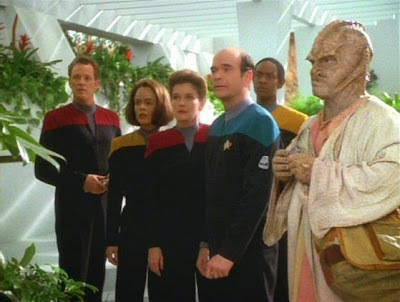 The crew of Voyager is gradually and mysteriously being replaced one by one by members of an alien species. I was actually not expecting for the reason for this to be so sinister - I really believed the alien species had no idea what was going on! The best part of the episode was Janeway being a badass in the end, and wresting control from the aliens. I love it when it's set up that no one has been able to escape them for decades it seems, but all it took was a certain Captain Janeway and her crew to completely mess things up. A timeship from the future tries to destroy Voyager because Voyager is the source of some catastrophic event that occurs in the past. I feel like that idea has been done lots from the opposite side - where it was important to stop someone/something from happening because it will mess up the future so it was interesting to get the other perspective. 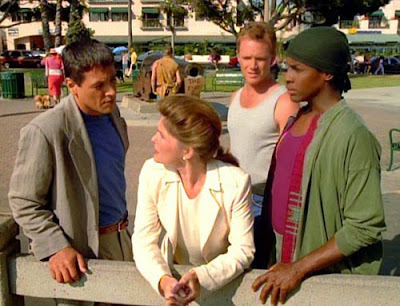 Of course, Janeway couldn't just give up and allow her crew and ship to be destroyed, so we get this wonderful escapade through 1996 Los Angeles. I loved seeing nineties SoCal through the characters and even that the Griffith Observatory features in this two-parter. As does Sarah Silverman. This was a delightful episode, with many twists and turns, and a nasty villain. B'ellana discovers a holodeck program about the members of the Maquis taking over Voyager. Seeing the mutiny on Voyager - especially with upstanding Chakotay involved, was very entertaining, but I was also glad to know that there was still a more sinister aspect to the episode. Yay. Seska is back. I'm kidding, actually - she fit in very well with this episode as the main villain. 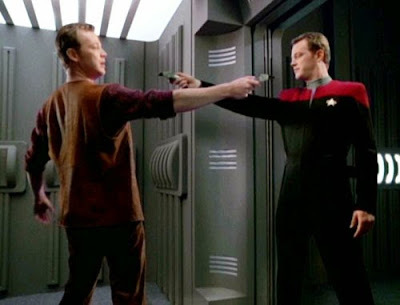 Voyager seems to work in fun moments and premises with very sinister or suspenseful twists in their episodes very well. Tuvok has a repressed memory that is working it's way to his conscious mind, and if he does not deal with it, it can kill him due to his Vulcan biology. This was pretty much a must in my top 5 list for the nostalgia factor of having two actors from the original series show up. I was so surprised and happy to see Sulu and Rand! And the continuity of having the story of Tuvok's memory relate to the occurrences in the sixth Star Trek film. I also really loved that Tuvok and Janeway have such a close relationship, and Janeway helping Tuvok through his memory was a great way to show that. 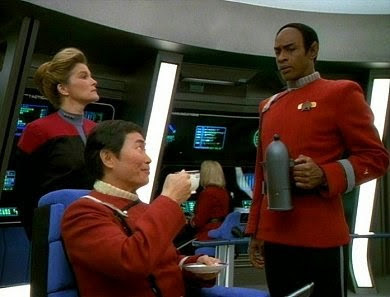 And it's interesting to see Tuvok as a 'young' ensign too!